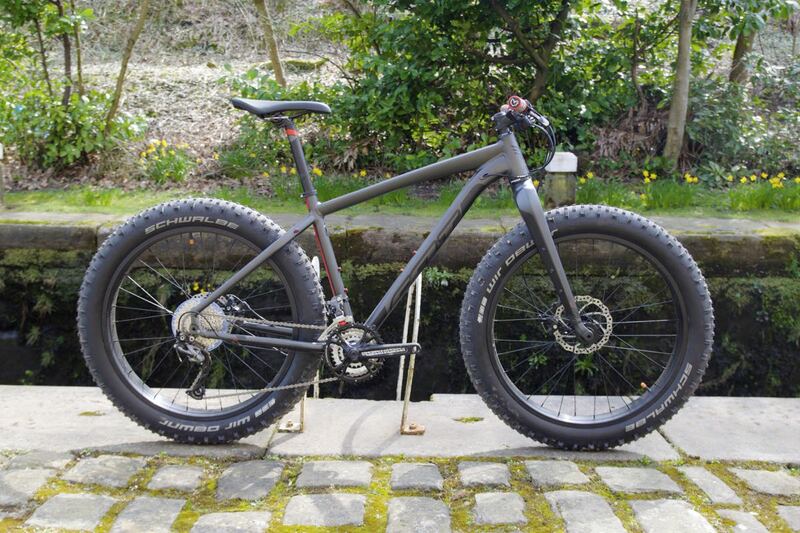 Here’s the prototype Compulsion 10, a bike that’s almost in it’s final incarnation before going into production. At the moment the 160mm/160mm travel bike comes with a 66º head angle, 73.7º seat angle, 618mm top tube and 436mm stays. It’s possible that the top tube may alter slightly in favour of something a little longer but it’s as close to finished as we’re likely to get before testing a production bike. Without pedals, the bike we rode was claimed to be ‘near to 28lbs on the nose’, as from the way it handled and climbed we’re happy to accept that. 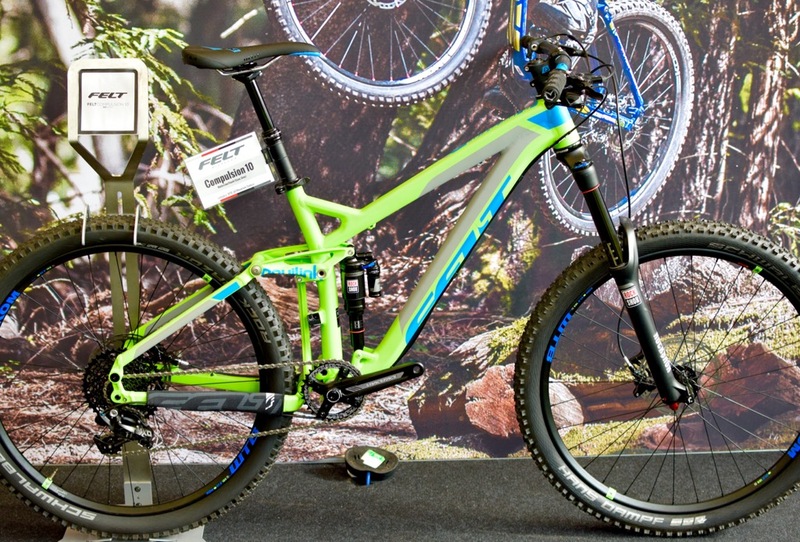 The Compulsion 10 is lower, longer and of course slacker than the 2014 26in version. With a 1×11 drivetrain, Rockshox Monarch Plus Debonair matched with a Pike up front, and Sram Guide brakes taking care of stopping duties the bike was pretty much good to go on potential EWS trails as soon as we’d had time to stick a pair of pedals on it. 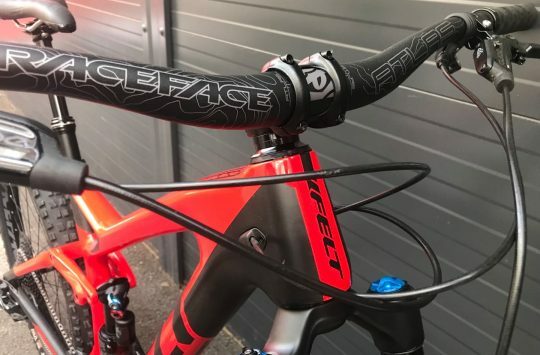 It’s clear Felt have taken their time when designing the new Compulsion 10, and they haven’t just put a 27.5in wheel in an existing bike with a few tweaks. With a growth in trail riding Felt are clearly aiming to take a bigger piece of the pie, is the Compulsion 10 the bike to do it? What better place to get an initial impression on a bike than the Tweed Valley, and on some world class trails; big, relentless climbs and incredible technical descents. We took the Compulsion 10 on a route that we’d ridden a number of times in the Caberston Forest (The Golfie to the locals) where we knew we’d get a good feel for how it handled. 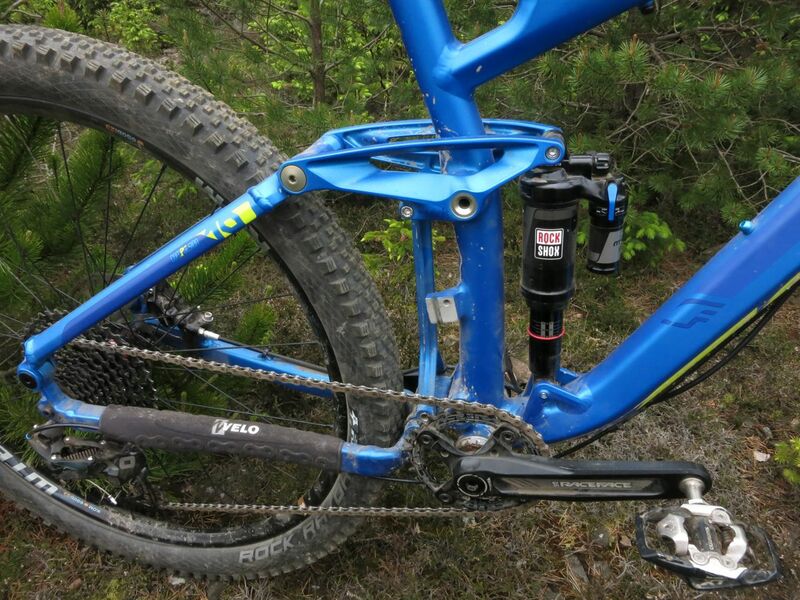 Long climbs showed the Compulsion 10 is capable of climbing as well as, if not better than most 160mm trail bikes. The Equilink suspension matched with a custom tuned Monarch Plus Debonair keeps the bike taut even during out of the saddle power sprints. Pointed down it felt (mind the pun) inspiring, gobbling up the trail and spitting it out. 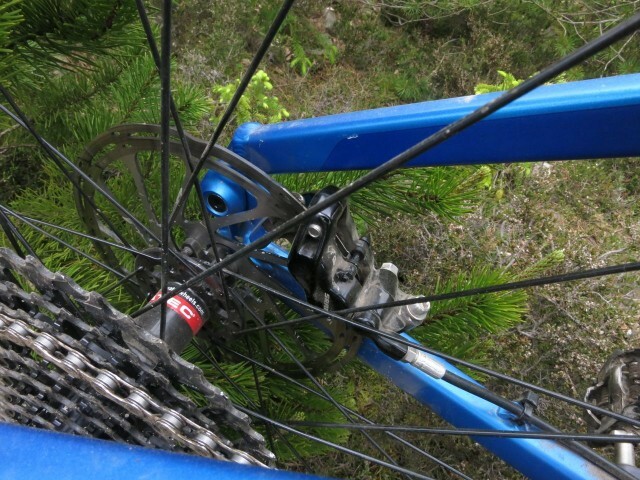 You instantly feel part of the bike and not on top. With a 50mm stem and wider bars steering is precise and you can neatly hit every line necessary . 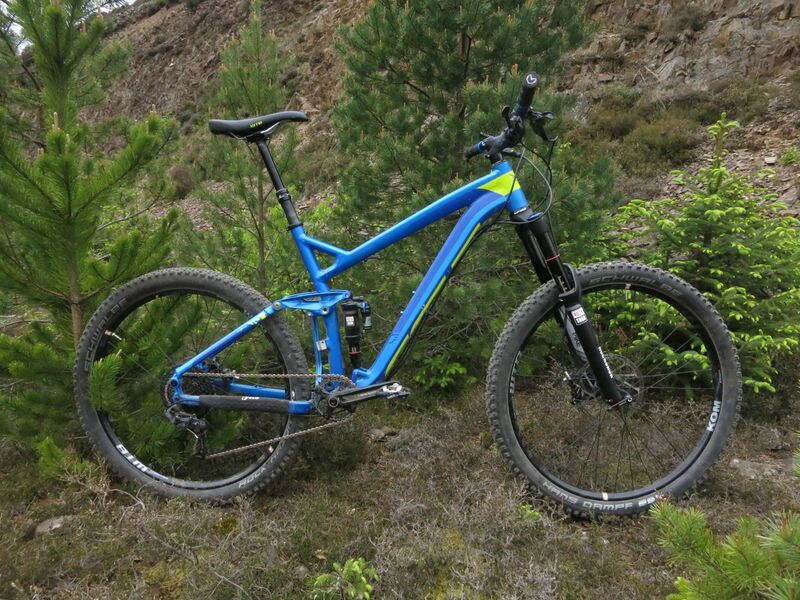 Overall, our first impressions are that the Compulsion 10 is firm when climbing and confidence inspiring on hard descents, Felt have thought long and hard about what they think trail and enduro riders need and what makes a bike fun to ride. We can’t wait to get our hands on one for a longer test once details have been finalised. Yaay! It’s back. Pretty blue, that.